The situation when you cannot determine the most acceptable place for an advertisement has to be familiar not only for WordPress website owners but also for clients who want to place their ad on the Internet. This kind of doubting is normal. However, here is some proven steps to find solutions, gain effective results and cannot go wrong! This popular and helpful "trick" is a part of the marketing research. In brief, this method is the comparison of two different options with the objective to find more successful one. Let's say you have two variants of webpage or two types of headings. For sure you will not know it, till you have tried it. So the purpose of A/B testing is the test and analysis of the information. Usually, the test of each option is doing in separate periods and in absolutely split. That's why A/B testing often calls as split-testing. It is not an assessment cause mostly the people who are involved in this process do not suspect that something depends from them. They just use a website as always. Following analysis is based on some points from users traffic and actions. But more on that will be later. In this context, the best example will be related to the advertisement's placement. Let's say you cannot decide where to place your ad to succeed. And here the A/B testing will be your help. It has already mentioned that Aparg SmartAd is a multi functional plugin and it's advantages and features can be endless counted. But how can be SmartAd useful in this case? Well, this WordPress plugin has a great statistical section and we are going to use it. Let's go in order. You can create an ad campaign and include in them separate ads. Aparg SmartAd proposes for its users to follow the statistical information not only for an ad campaign but also for each individual advertisement. And yeah, it's so cool! Now a little tutorial how to check it and find the most acceptable place for ads. Aparg SmartAd offers three types of the ad campaign - background, popup and embed (more detailed info about ad types is here). If you choose the latter you can create two ads which are intended for different positions on the website (for example one of them is placed in left, the other one in the middle of the content). Now it is the time to determine which one is better. By the automatic control system, you can adjust the periods of their display in advance. You'd better display them in order ( an f.e. first week for the one and next week for another). This split of periods will give you an opportunity to understand clearly the real "view" of results. The gained reach statistical data for each ad is a huge "space" to compare them and choose one. Easy, isn't it? A/B testing is represented in numbers which are based on the visitors' actions. In fact, every single element of the website which is visible for users can be tested by this method. In the case of ad's testing by Aparg SmartAd, you will gain results via charts which will show all information. You also can export this stats into PDF file for your convenience. They are very handy to compare two different ads by selected points (number of clicks, views, traffic or etc). 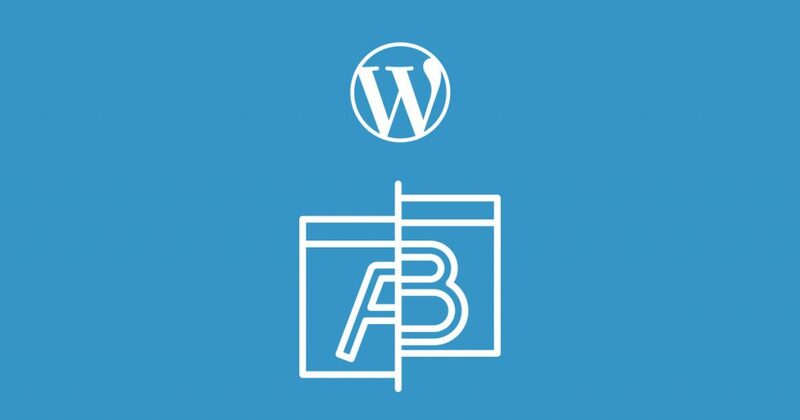 Moreover, some WordPress website owners are deciding the price of ad's positions based on A/B testing results. Appropriately the most successful one will have a significantly higher price that the less popular position. As it was said to kill two birds with one stone! To conclude A/B testing is really good and helpful method for website owners. As for especially ad's testing, it is an irreplaceable tool. Fortunately, Aparg SmartAd plugin combines many functions including the well-arranged statistical part. And it decently makes your work easy and pleasant cause you get just one great plugin and do a lot of actions by it. Try and you will see for yourself!